on Saturday, June 15, 2019! RUN in beautiful Lake Tahoe! ROCK your way through some awesome weekend events! RECOVER pool side with live music at the post-race pool party! 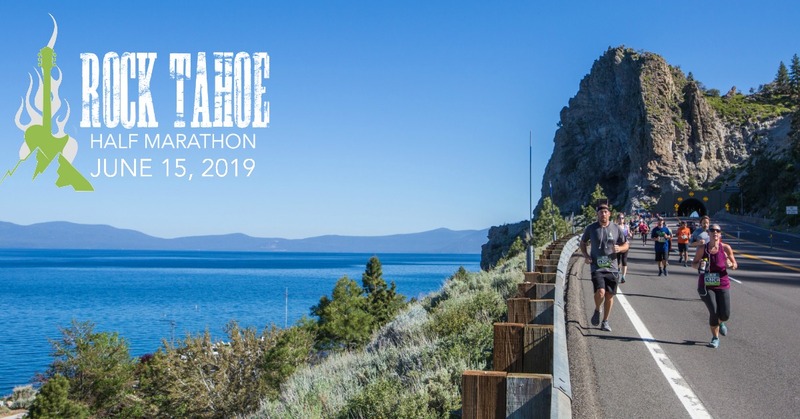 The Rock Tahoe Half Marathon starts at Spooner Summit and drops over 1,000ft as it winds its way down Highway 50 along the stunning East Shore of Lake Tahoe to the finish line and post-race pool party at the Hard Rock Hotel & Casino Lake Tahoe! The last four years have SOLD OUT so don't miss your chance to Rock Tahoe! All race participants will receive a finisher medal and race shirt!